How do I print Progress Monitoring results for my students? 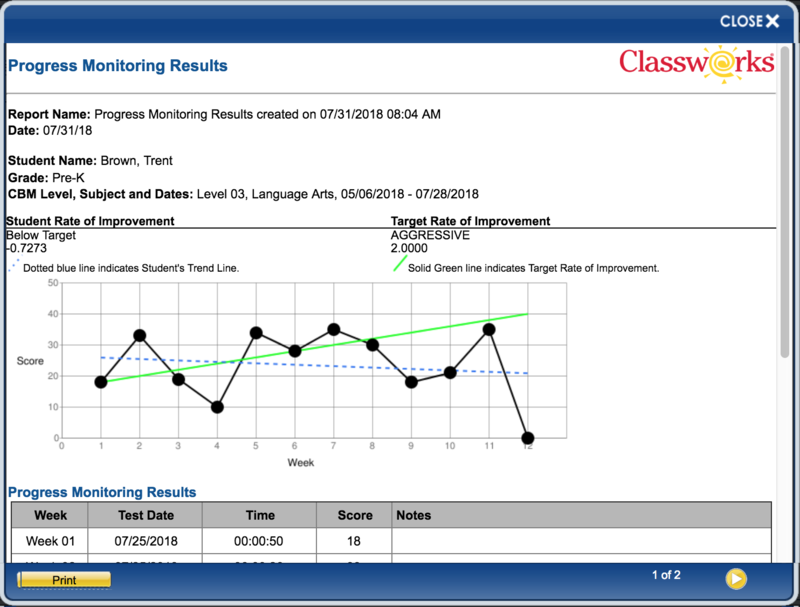 Progress Monitoring Results is a printable report that can be used for documentation, data meetings, parent conferences, or for keeping tabs of a student's progress. This report viewed, saved, or printed depending on your needs. 1. Navigate to the Progress Monitoring page. 2. Use the filters to find the student(s) you would like. 3. Place a check beside the student(s) that you would like to report on. Whether you are generating the report for one student or multiple students, it will create a separate report for each student. 5. Select to summarize by Individual Student and click Preview. 6. Click Print Report if you would like to print it or even save it to your computer. 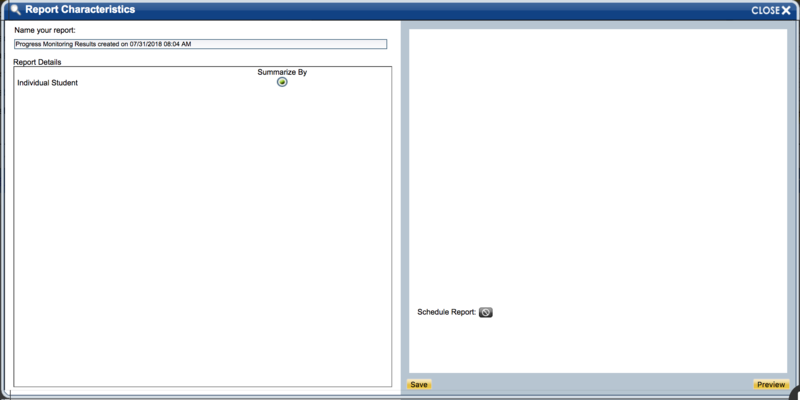 This report can be viewed, printed, saved, or scheduled to run automatically.